The special bed needed to be soft as the young man was prone to self injury. 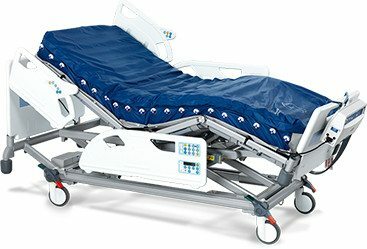 It should also be easy to transport so it could be used for respite purposes. The bed we made was so successful we were soon asked by occupational therapists and nurses to make more beds for clients with similar requirements. Over the years we have improved and adapted our Bearhugzzz bed and it is still as popular as ever. 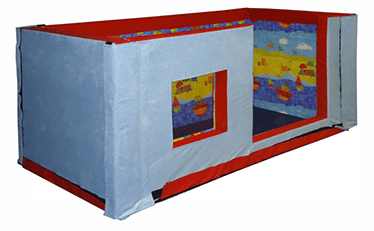 Our Bearhugzzz bed, Bearsnoozzze Bed and all the padding for our range of CosySafe Cots are manufactured at our North Wales base. All our special needs cots are made by skilled cabinet makers each one is made to suit every individual’s requirements. To compliment our range of beds for special needs we are able to supply a range of made to measure mattresses to suit clients with low to very high pressure care requirements. As an optional extra our mattresses can be made with welded seams or covered in an anti vandal fabric. Our main clients are occupational therapists and other healthcare professionals. We cover the whole of the UK and are happy to carry out demonstrations or assist with assessments. To compliment our range of beds for special needs we are able to supply a range of made to measure mattresses to suit clients with low to very high pressure care requirements. As an optional extra our mattresses can be made with welded seams or covered in an anti vandal fabric. Our main clients are occupational therapists and other healthcare professionals. We cover the whole of the UK and are happy to carry out demonstrations or assist with assessments.